San Francsico police officers soon will be getting body cameras as part of the department reforms initiated by former Chief Greg Suhr and being executed by acting Chief Toney Chaplin. Now it's a question of how those cameras will be used once they're supplied. A policy has been drafted and will go before the San Francsico Police Commission on Wednesday. Officers seem to be on the same page with Mayor Ed Lee's and Chaplin's objective of expanding transparency in the police department. 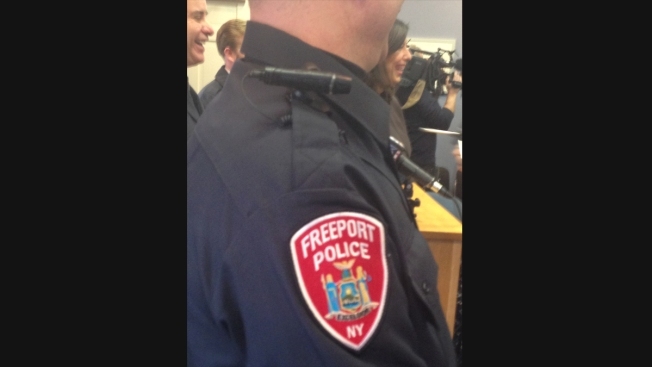 "We want body cameras," Officer Carlos Manfredi said. "It tells the story on the other side." Lee announced about a year ago that there's $6 million available to outfit every city police officer with a body camera. Since then, city leaders and the San Francisco Police Officers Association have been negotiating a body camera policy, detailing when officers must turn them on and off and when they can review the footage. The police commission last reviewed a draft policy in December. The latest amended version has been completed, but Public Defender Jeff Adachi is not supporting it. "I don't think policy goes far enough," he said. The policy being proposed allows officers to review camera footage before writing a report, unless the incident involves an in-custody death or an officer-involved shooting. In such cases, the officer must give a statement before reviewing the video. Adachi beleives officers should always write their report before seeing footage. "We want to make sure body camera video roots out officers who aren't telling the truth," Adachi said. The proposal comes weeks after former Chief Suhr resigned amid a slew of fatal officer-involved shootings and a racist texting scandal.